frictionless electric generator (dynamo) for bikes! The batteries in your smartphone degrade with age meaning less standbye time. With the Cydekick you won't have to worry about that. Stream your music, and run your GPS, and Strava as long as you wan't. 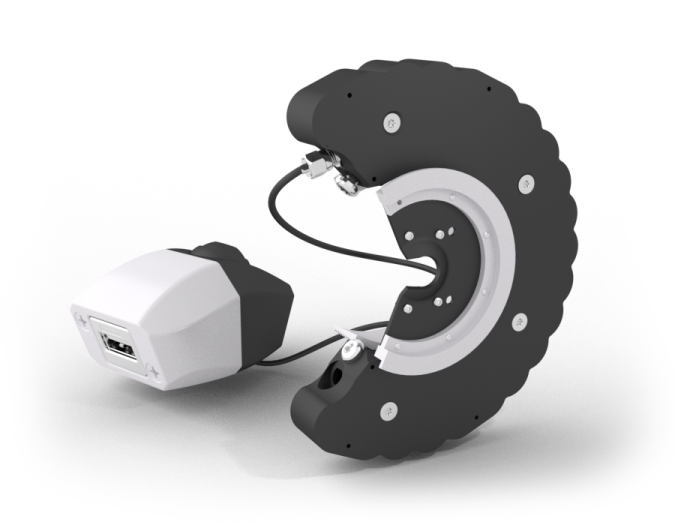 The Cydekick converts your wheels motion into electricity keeping you charged! The Cydekick is the 1st and only complete bicycle dynamo/generator system capable of recharging your electronics without adding friction. The highly efficient design minimizes drag found in traditional dynamos, installs in 10 minutes, and is compatible with all bike types. At 12mph the Cydekick generates 5 Watts! At 25mph generate 15 Watts!!! Behold, the new Charge Block design. A waterproof switch turns the Cydekick ON/OFF when you want to conserve energy.